A range of fan convectors suitable for all kinds of commercial applications, from churches to office developments, with the ability to rapidly heat large areas with much greater efficiency than other heat emitters! 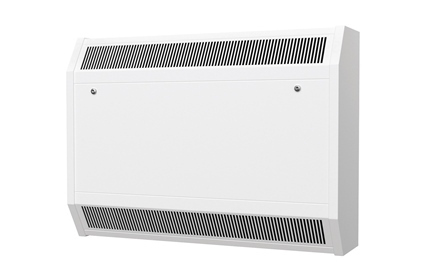 The Caspian UV Series by Smith’s is a fan convector suitable for all kinds of commercial applications, from churches to office developments, with the ability rapidly heat large areas with much greater efficiency than other heat emitters. Caspian UV fan convectors are both a practical and high quality heating solution for any commercial project. Incorporating the latest EC motor technology, which can result in running-cost savings as high as 80%, and with variable speed control as standard, the Caspian UV delivers heat quickly and quietly. Have questions about our products? We're here to help! Call us at (781) 986-2525.